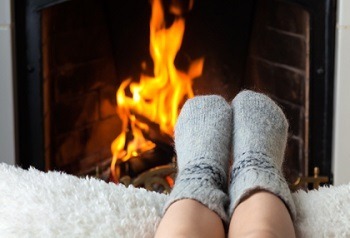 Furnaces are almost constantly under a tremendous amount of stress, and during the winter months, they rarely get much of a break. That's why it's so important to keep your furnace in great shape at all times. Furnaces require a lot of maintenance, and the need for frequent furnace repairs in Topeka is commonplace for most properties. At Cooper’s, Inc., our heating contractors recommend that you have your furnace tuned up at least once every year to keep it in the best condition possible. If it gets the attention that it needs, your furnace could last for as long as 16-20 years. However, no matter how well-maintained your furnace is, it will eventually need to be replaced. It may completely break down, or it may develop enough problems that it won't be able to run efficiently. When it's time to replace your furnace, you can rely on our furnace replacement experts in Topeka to handle the job. Our professionals can provide you with all of the furnace repairs and maintenance services that you need, and when you need to have the unit replaced, we'll be able to handle every aspect of that job. Our heating contractors have worked with all types of furnaces, and we'll be able to handle the entirety of any replacement job. No matter what it takes, you'll be able to rely on us for quality workmanship and professional customer service. All of the work that we provide comes with a 100% satisfaction guarantee. Our technicians are licensed professionals with extensive training and experience, so you'll always know that you're getting the absolute best work possible when you work with us. None of these signs mean that you definitely need to have your Fort Worth home's furnace replaced, but they all can signify serious problems. If you notice any of these signs, call our professionals as soon as possible. We can help you determine the best ways to move forward on repairs or a furnace replacement. For a quality furnace replacement in the Topeka area, please call Cooper's Inc at 785-267-4100 or complete our online request form.